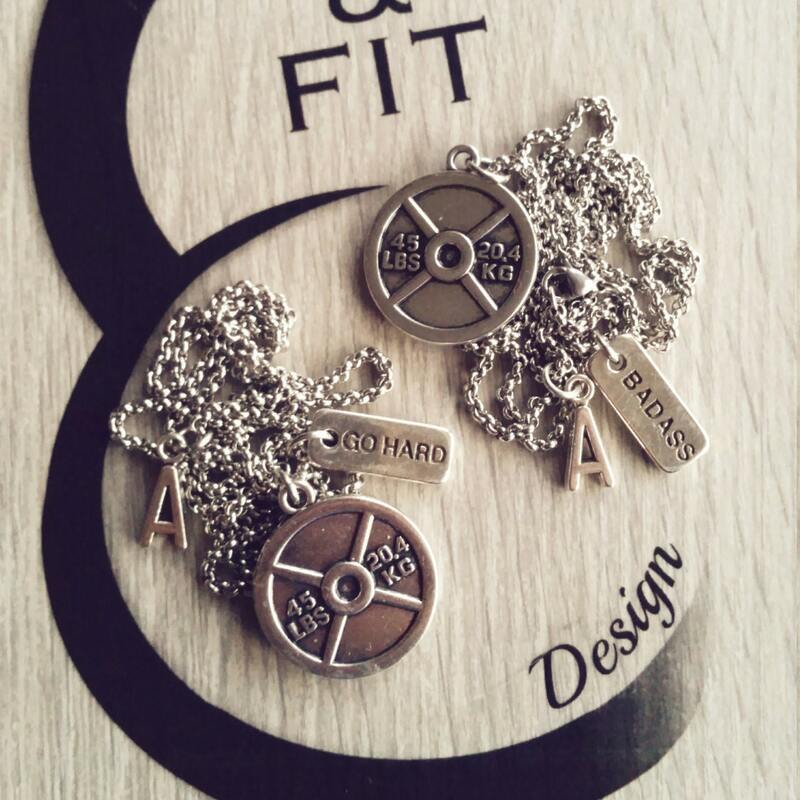 A new concept of the medal, two Motivational Words, two hearts, two reasons. 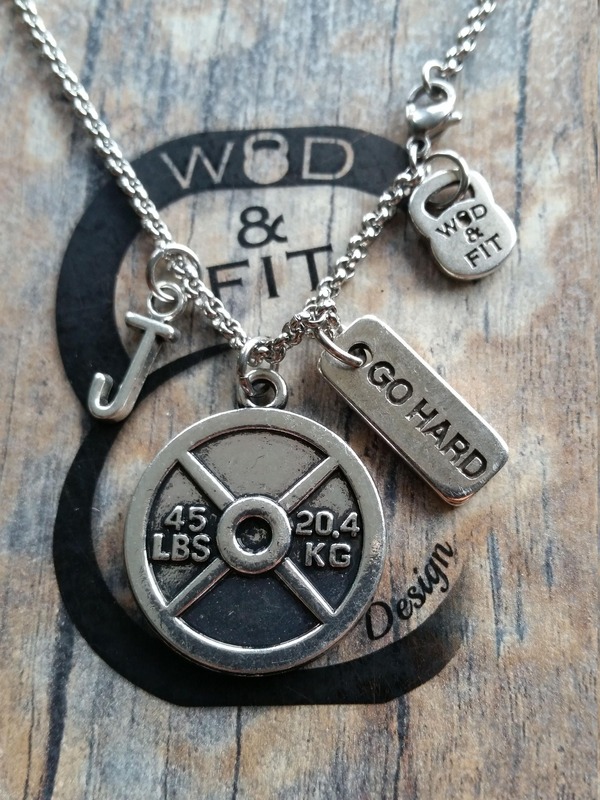 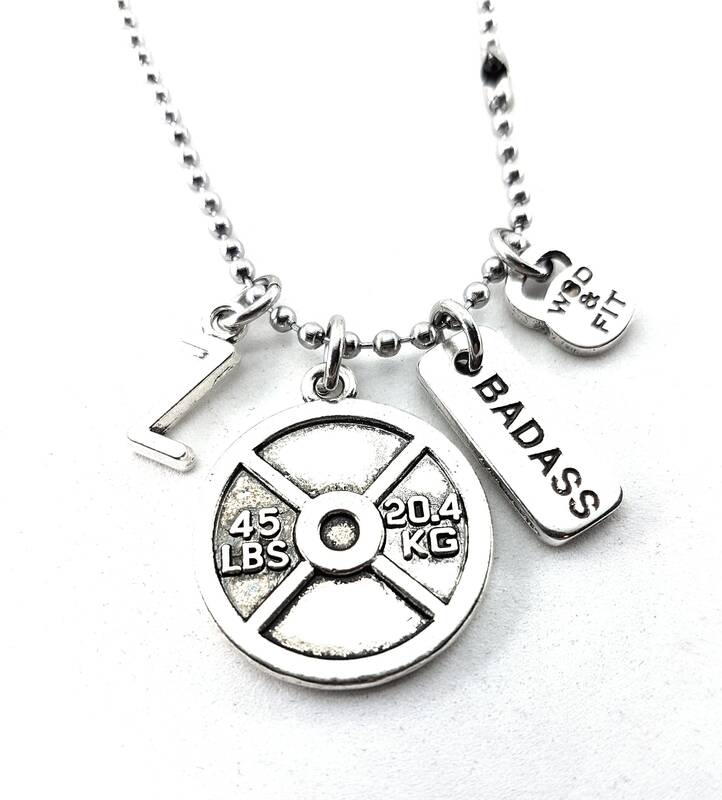 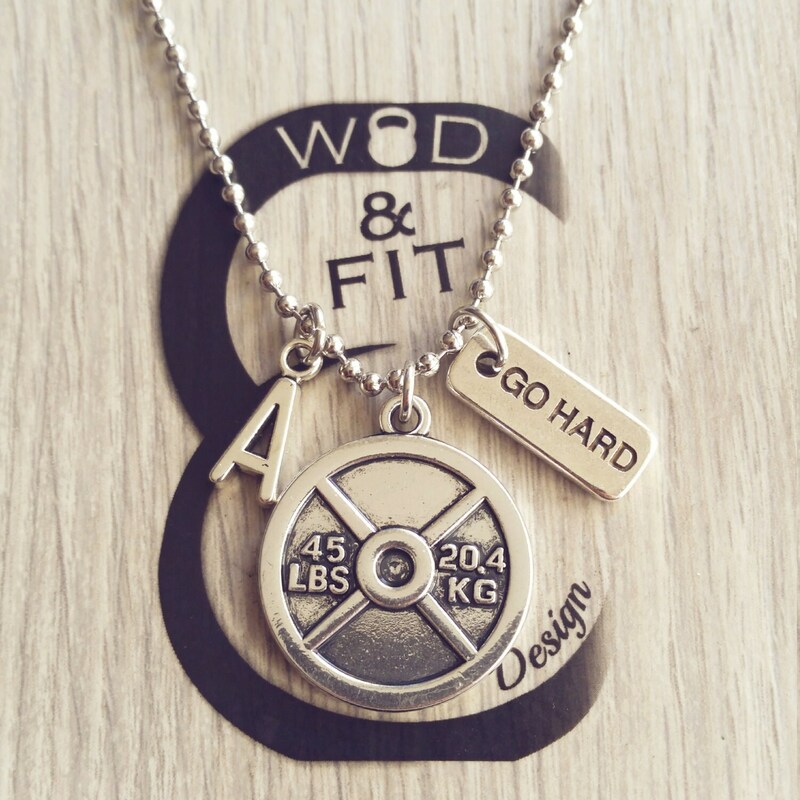 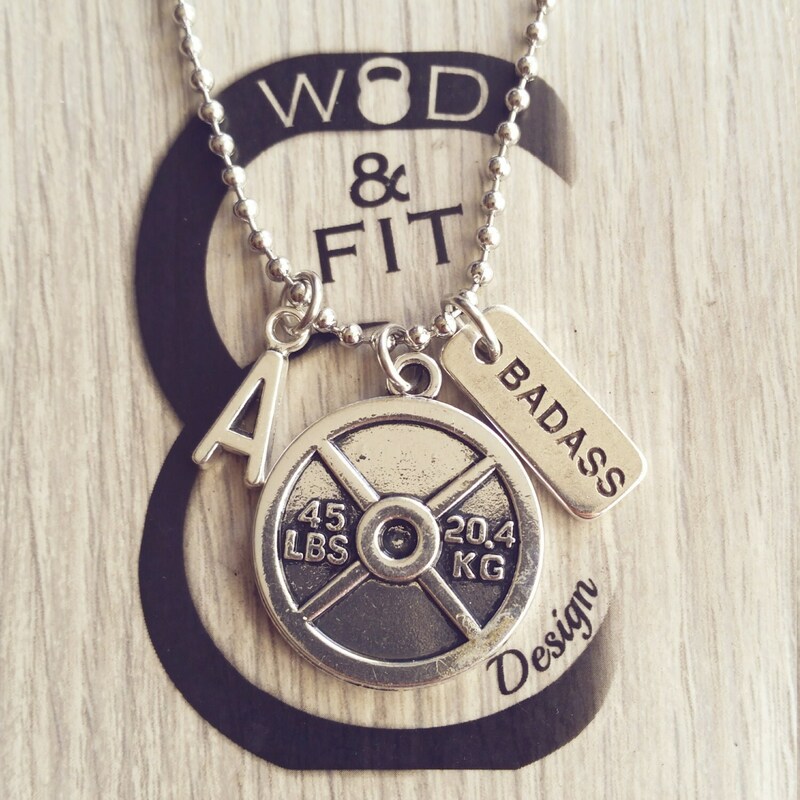 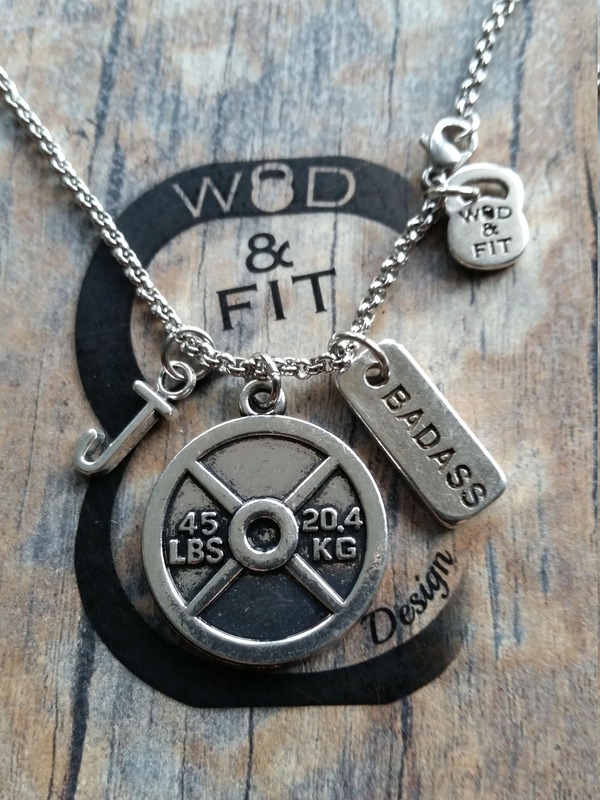 Necklace The Twins Workout Weight Plate 45lbs "Badass/Go Hard" & Initial letter. 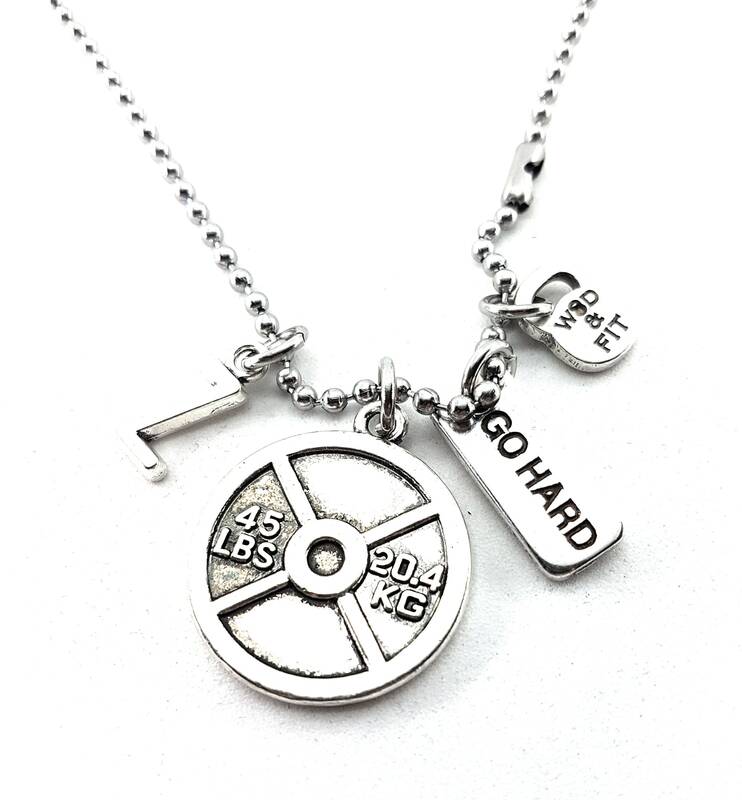 Stainless steel Necklace with Weight Plate 45lbs, you initial letter and the charm with the two Motivational words "Badass/Go Hard"